The ends are nickel-plated and right-angled. The cable is .155 gauge and black in color. 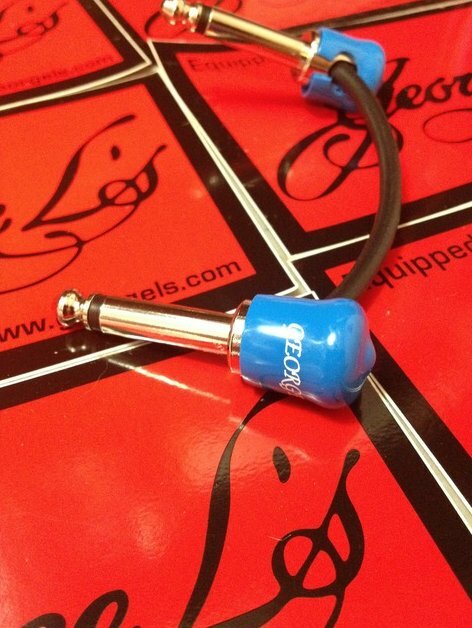 The end-caps on each plug are blue.